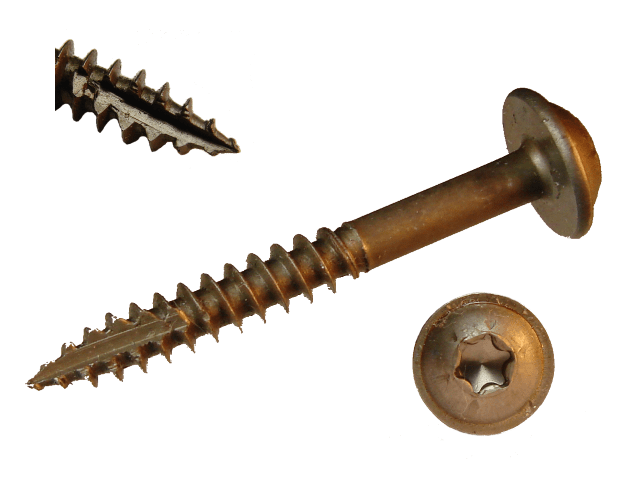 Fine thread pocket screws for all cabinetry projects. Deep wide threads. Modified truss head provides maximum holding power. Type 17 tip starts fast and clean. High quality heat treated steel. Star drive head reduces "cam-out". Fine threads for hard woods.